All of the theme strings are translatable and are therefore compatible with multilanguage plugins. This is why the theme is compatible with WPML, one of the most famous plugin for managing a multilingual website in wordpress. You can see that the theme is completely compatible through this link (we made a sample demo by inserting the English and Italian language). To purchase the plugin you can go here for any problem you can rely on its official support here. Note : For the proper management of your multilingual site you must also translate the plugin strings nd-shortcodes. For the proper functioning of WPML my advice is to follow the recommended settings in the WPML documentation, moreover below you can find some fundamental points for the correct functioning. As you can imagine the plugin does not automatically translate all the strings and pages of your site but they will have to be translated manually according to the language you have entered. 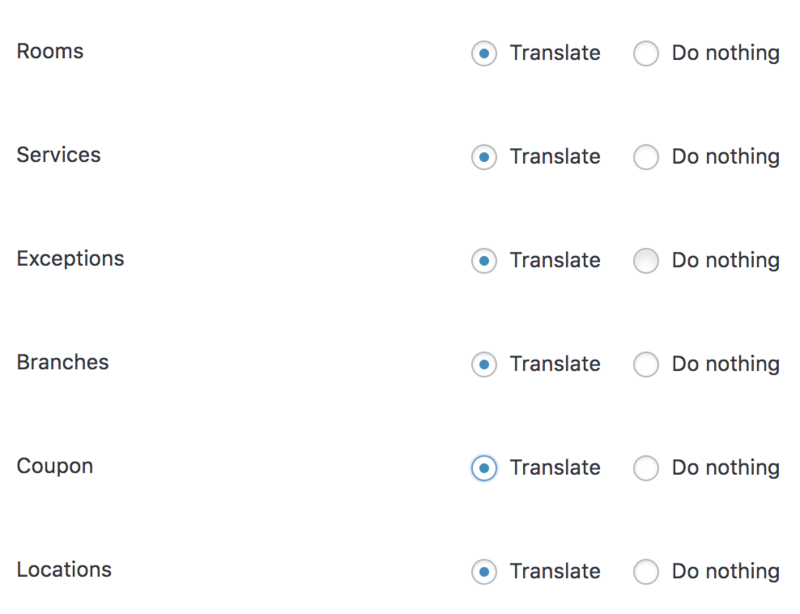 Remember that for a complete translations of your project you have to translate also the options of the theme and the plugin, you can set your translations of the options in WPML -> Strings Translation -> Translate texts in admin screens », more information in this article. This step is very important since as you can see in Booking Plugin -> Plugin Settings -> the pages Search, Booking, Checkout etc .. are options that have to be translated for the proper operation of the entire booking process. From version 2.3.2 it is possible to connect the translated room with the default language room. This is to maintain the correct availability according to whether the room is booked from different languages. Now the two rooms are connected and the availability of the translated room will be the same as the parent room.